Here is my contribution to Cee’s Black & White Challenge. The topic this week is “Signs”. 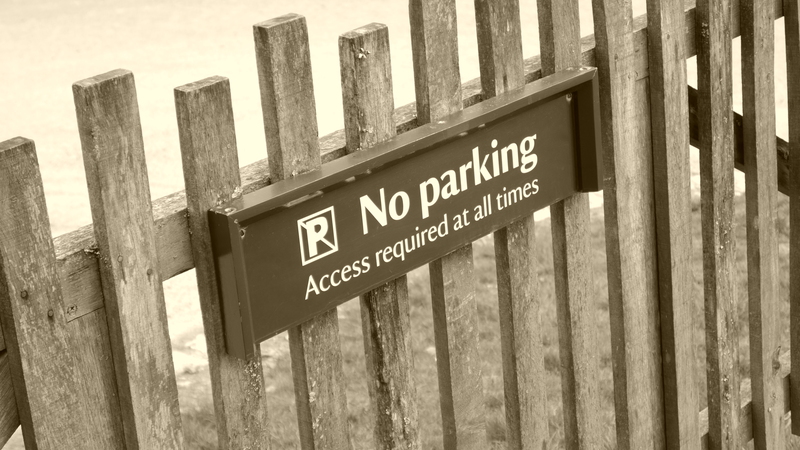 Picture #3… A warning that pirates are nearby perhaps? Could be! It was in a forest in Wales – not where I’d expect such a sign. Good one. What in the world does the skull and crossbones mean? Hazardous waste? Incoming aliens? I have no idea! It was a weird sign to see in the middle of a Forestry Commission forest. Yes, rough times ahead for that bike if it goes along that route! 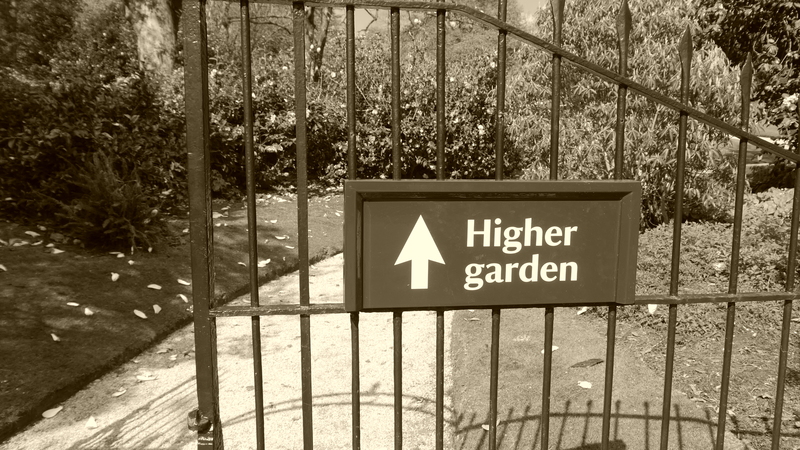 A higher garden? Hmmmm, I wonder what they grow there? Nothing “dodgy” 🙂 Just more trees and stuff. I have more photos of it I’ll share at some point, I spent the whole morning snapping away. Thank you for following my blog. I’m happy to have you as a part of my blogging community. Welcome! Thanks! I’ve just switched from my camera phone to a “proper” camera and I’m having fun with it. Great sign pictures, Ali. 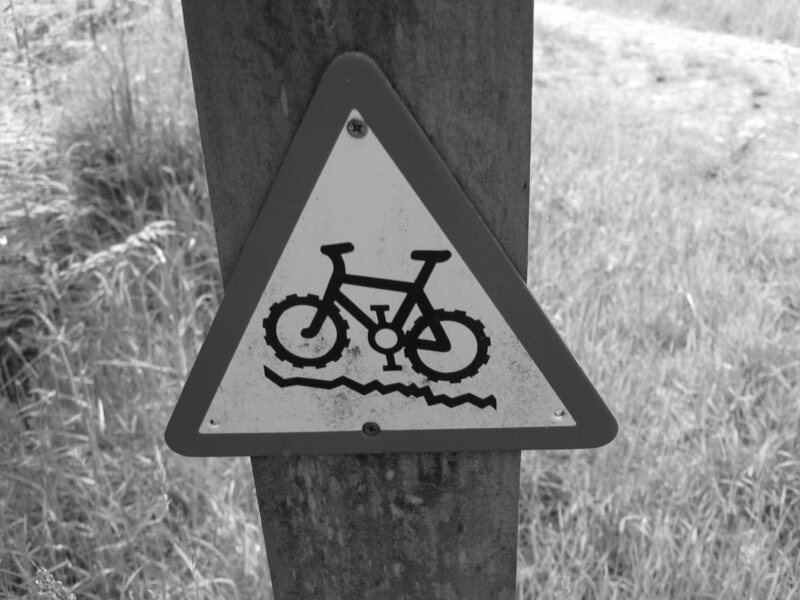 I think I’ll steer clear of that bike path – it looks a bit uncomfortable! It did look a little bumpy as I recall! 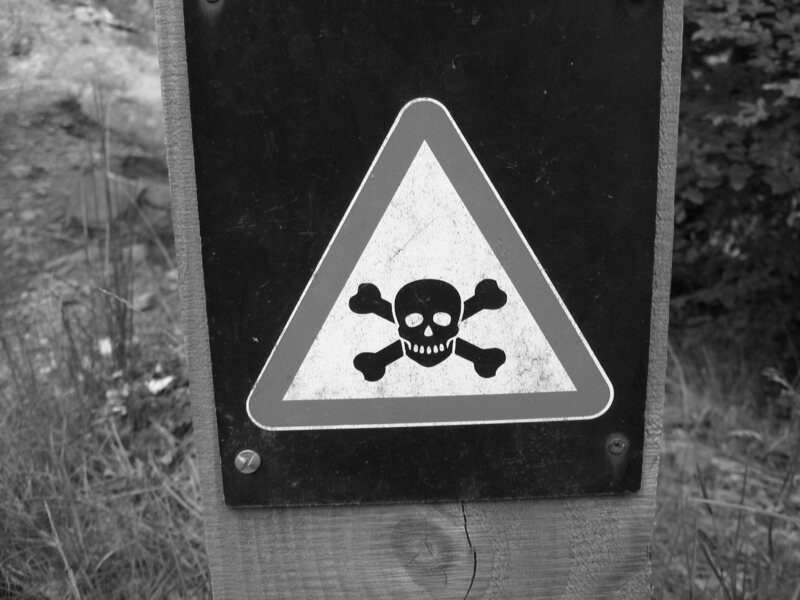 Hazardous Waste… into the middle of a forest…. not so good. Nice work! Probably wise that you did not!